As of XBMC v11 (Eden), XBMC supports being an AirPlay target, allowing any device/platform that can run XBMC to receive AirPlay content from an iOS or iTunes source (as well as other 3rd party AirPlay sources for desktops and even Android). An AirPlay password can be optionally set. All XBMC platforms support video (without DRM, meaning videos downloaded from the iTunes store will not play in XBMC). All XBMC platforms support pictures. All XBMC platforms except Windows support music (with or without DRM). Windows will be supported when libshairport is ported to Win32. 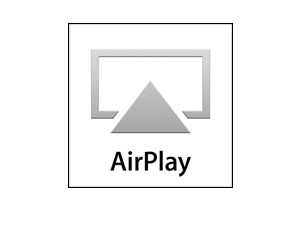 AirPlay mirroring is currently unsupported. Videos recorded from an iDevice might not display with the correct rotation. Support for this is planned for later. To enable the AirPlay service... first install avahi if you don't already have it installed. The avahi daemon is a free zeroconf implementation which, includes a system for multicast DNS/DNS-SD service discovery. In plain english it advertises Apple services across your LAN to other devices. You may need to reboot now. 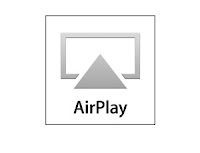 With XBMC already running, using your iOS device fire up a photo/music and select your XBMC from under the AirPlay icon (see below). XBMC should automatically swap to your AirPlayed media, if not double check your firewall or try disabling the firewall for testing.